There is nothing like freshly baked homemade bread. 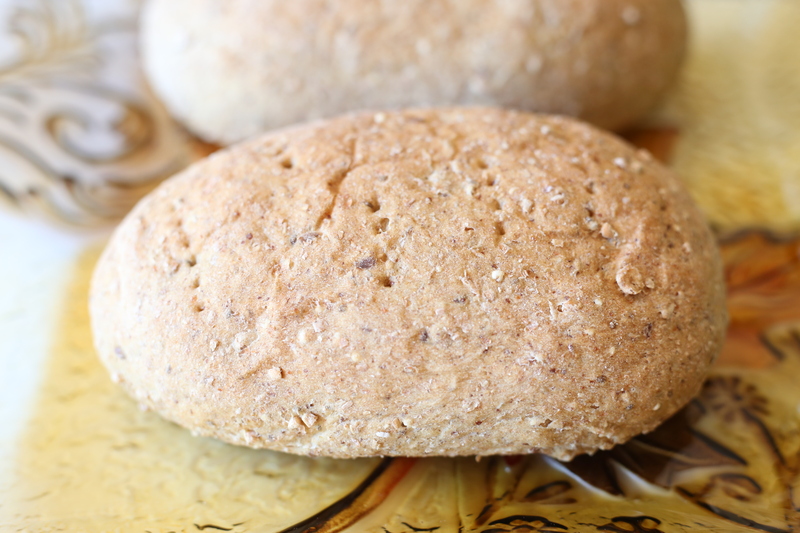 Try this multigrain bread and you will be pleasantly surprised how delicious and healthy it is. To make date paste: I cup Medjool dates, (other dates are fine too) pitted and finely chopped, I cup water. Blend to a paste. This mixture will keep in a sealed container in the fridge for a few weeks. In a large bowl combine apple sauce, date paste, salt, hot water, Red River cereal and large flake oats. Mix well. Then combine 5 cups whole wheat flour with yeast. Add the flour and yeast to the liquid mixture. Combine mixing in more flour until you get a good dough (not too sticky). When you get the consistency you want, (dough no longer sticks to the side) knead for another 5 minutes. Cover dough and let rise until more than doubled (approx 45 min). Then put in loaf pans and again let rise until more than doubled. You can shape dough into loaves or rolls. Bake in preheated 350 F oven for about 35 minutes, until top is brown.